This is probably going to one of the more speculative posts I will write, and its mostly a thought experiment to explore the consequences of having a high tech economy side by side with a low tech economy, a state of affairs that is likely to remain past overshoot. I don't think that a high tech space economy will appear, or at least not in this way, this more to look at the idea of how some high tech may be implemented in the future through a simplistic model. A contemporary analogy would be the spread of mobile phones throughout the third world and how their used, in some parts of Africa mobile phones are used as banks using the phone credit as currency. It could also be something like trading climate and meteorological models/information for goods and/or food from another government. This is mostly speculation and a thought experiment, not a plan of action or endorsement. The scenario below is highly unlikely. Moon dust can be turned into solar panels so in theory you could have a moon base that is sustainably powered by vast tracts of solar panels. Then you could have lunar mining to provide the raw materials, agriculture and manufacturing in several lunar bases. A Mars colony could be established and survive via solar panels and gain raw resources either from the red planet itself, or from asteroid mining, only one base is required for this and their'll likely be one on the moon. If your wondering, according to atomic rockets (link in the sidebar) for a population to survive 1000's of years without genetic problems, you need 500 hand picked breeding age colonists, so preferably 1000 unrelated breeding age colonists from all corners of the world. For the purposes of this thought experiment, assume this system goes through the process of being created now and then being finished and made self-sufficient by the next major empires (most likely some combination of BRICS) within several decades. This self-sufficiency would most likely entail a very frugal energy use, low expansion rate and most energy/materials being used for maintenance, therefore low living standards for the colonists. The self sufficiency allows the space economy to expand slowly even while ground based civilization is collapsing. So once ground based civilization has recovered, the space economy could easily have expanded to the point (remember it has centuries) that substantial trade can happen. So rather than looking at the space economy and how it would work, beyond the simplistic outline above, and since this is a thought experiment, let's look at how the high tech space economy interacts with the low tech earth based economy. So what could they trade with each over, and to facilitate this trade we can assume a Space elevator is built (This is to allow trade with minimal energy expenditure). An important point about building space elevators is that the first one is incredibly expensive, but after that their incredibly cheap (relatively speaking). Since this is a thought experiment we can go all the way and assume with during the recovery from overshoot an orbital ring is built around the equator with multiple elevators. The orbital ring contains foundries, factories and few of the other things that would make sense in space (despite likely being controlled by the ground, this is part of the space economy). So trade could occur from most parts of the planet, so the question remains what could be traded and what interactions could exist. I remember an article about manufacturing in space and its advantages, such as steel being of a higher quality and the ability to extract purer substances than otherwise. So on the orbital ring part it would make sense for iron ore and other raw metals to be processed and then be shipped down, much of this would also be used for space based manufacturing, only some of which would return to Earth. Food would likely be sent up as payment. And remember this is all taking place while most of the earth is in a low tech state (relative to the space stuff or even current civilization). Thus one potential trade is that of primary goods (food and raw ore) in exchange for high quality secondary goods (space steel) as well as some tertiary goods (computers, solar panels etc). There's a picture on the Wikipedia page of a space elevator anchor which is acting as a deep water seaport, along side a sailing ship. We can use that as a central image to this thought experiment. The low tech being used side by side with the high tech. So I've put the picture on the right. Change that single small sailing ship to a fleet of large wooden sailing ships and the economy can be seen in action. Even if most civilian ships are made of wood, thanks to a small technical trick that was invented just before iron steamers became dominate, huge wooden ships can now be built (previously their were severe limits to the size that wooden boats could be made before they 'straightened' and broke). The low tech economy trades food, raw materials and some low tech manufactured goods (say silk clothes) for high class materials (space steel) and high technology equipment (computers) and possibly energy as well. Since its in space, solar panels will work a lot better, so trading that energy for stuff isn't out of the question (though it is likely that when the energy content of the food traded is worked out net energy is normally towards space). And for the space economy, many goods (such as fibers) would be better gained from other ground based sources, especially since in many ways their production would be highly limited in space. The space economy could additionally provide information services, say weather pattern data or such along with satellite communications. Otherwise it would provide high class materials or chemicals (its easier to purify things in space), along with advanced manufactured components that only need a power source. Niche items would be in high demand, such as solar panels for remote areas for example and jet aircraft. So given that the above scenario is unlikely, its a thought experiment after all, how could we see this dynamic in the future. Well we already do, already mentioned is the proliferation of mobile phones in the third world. The Africans who have started to use them as adhoc banks and call time as a stable currency, are exploiting a high technology in a profoundly innovative way. It also points out the benefits to a low tech economy that has access to a limited, but useful, set of high tech equipment. There's a flash game on the internet called 3rd world farmer, have a look, its a simulation of life as a third world farmer, and the first upgrade under the light bulb tag is communications. 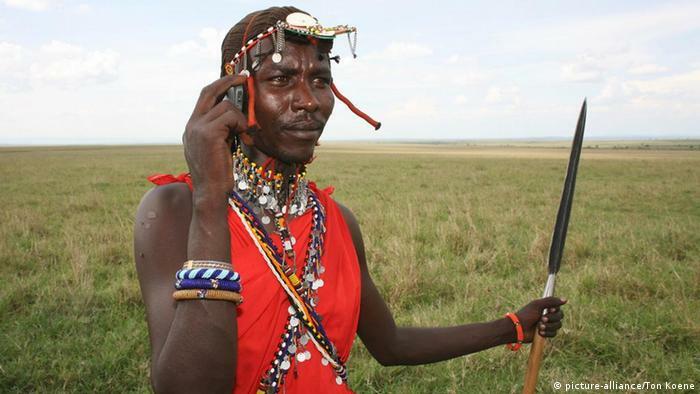 Its a picture of a mobile phone and it explains that with a communication network farmers can coordinate sales and get a higher income. A self-contained, easily powered communication set makes perfect sense in the rural third world, which is why mobile phones are popular there. Other things like solar panels to power remote clinics, wind generators on ships to power fridges and other relatively high tech gadgets also make sense. After the peak there are quite a few goods an ecotechnic society could trade with the various non-technical societies, like agricultural, horticultural or rancher based societies and other ecotechnic societies with access to different technologies. Low energy use computers to be used for bureaucracies or mathematical modelling that can run on simple renewable technologies could easily be in high demand. Certain military equipment, especially if it can be maintained easily, would be highly sought after by governments trying to compete and along with high precision manufacturing equipment for various industries. The criteria is an artifact that when built can then be easily maintained or run with the sort of inputs a low-tech society can provide. This is actually separate from the requirements to create a technology. Think of the latter as set up costs and the former as running costs. This is one of the likely interactions that ecotechnic societies will have with other civilization types (such as salvage societies) and internally with its differing tech sections (due to the vagaries of geography and local resources). Trading certain high tech goods that the other economies find useful but can't produce on their own, for raw resources and goods so that the ecotechnic economy can specialize more than otherwise would be beneficial to both sides. The driving force is simply the varying local resources, manufacturing capabilities and depending on how it turns out, the resurgence of sailing for international trade. How cool would a space elevator be? A very handy bit of kit. Thought I was reading a Peter F Hamilton sci-fi novel for a while there (worth the read too). Like the new format too. Thought it need to look brighter and be easier to read, I also decided to add more pictures to the posts. I think that in the interests of even a little realism, your "high tech" space economy would have to be a lot more low-tech than space elevators. We can't even make a material strong enough to make a space elevator out of in significant volume, much less produce a cable of it long enough to reach geosynchronous orbit. There are all kinds of unresolved technical issues (quality control, moving it out of the way of lower-orbiting satellites, how will it hold up in a hurricane, etc., etc.). So: picture a remnant industrial "powerhouse"--let's say, Iceland, due to relatively abundant geothermal resources. It produces bicycle parts, pedal-powered machines and other modest but useful tech beyond the capabilities of everybody else's village blacksmiths. So, it can trade needed simple machines for food and perhaps crops that can be used for biofuel and bioplastics. It builds a space program centered on a "Big Dumb Booster" (a large, 1950's-tech heavy-lift rocket) with an obelisk shape, like the McDonnel-Douglas DC-X. The flat sides make it possible for these rockets, once in space, to be joined together side-to-side as building blocks for space structures. With noses facing in the same direction, enough of them would combine to form a ring, which could be spun to produce artificial gravity. Joined with noses and tails facing opposite directions, they would form straight rectangular structures suitable for the center spine of a space station or a microgravity working environment. These space stations would replace weather and communication satellites, with human crews and slide rules filling the role of the computers future societies couldn't make anymore. 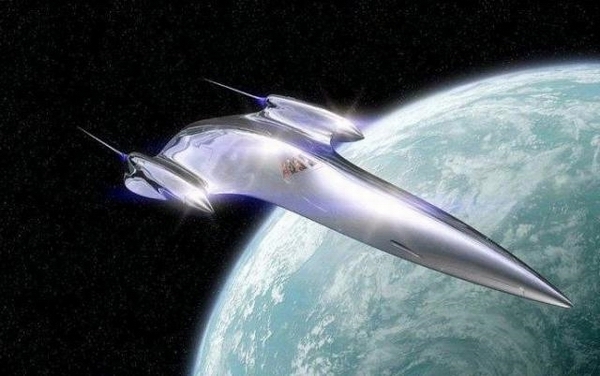 The other primary component for the space economy would be "tether-ships." These are capsules with solar power systems (PV panels or trough-style solar-thermal collectors if the former are too difficult to produce) and electrodynamic tethers. A "tethership" can raise its orbit by feeding energy into its tether to react against the Earth's magnetic field, or take energy from the tether to lower its orbit. in short, it does not need reaction mass to maneuver. These ships would be the backbone of a space-based salvage economy, as they "wrangle" old satellites, space junk, etc. and bring the precious materials back to their space stations. The "Icelandic Empire's" space assets give it the ability to predict weather (very useful in a climate-changed Earth!). It can then share this information with its allies, thus encouraging less-advanced nations to be its allies. If it is able to keep this up long enough, it might be able to build some relatively self-sufficient space colonies, most likely stations and asteroid mines on near-earth asteroids. This society would probably have to invest a considerable amount of its total GNP to sustain its space program, comparable to Egypt building the Pyramids, so it would probably need to have a powerful ideology or religion to justify the effort. All the technical issues are why the space economies a thought experiment, space elevators are simply one of the better ideas out there. Compare with magnetic cannons (misfires aren't nice) or using shaped nuclear charges for propulsion (a firecracker under a tin can). I was going from the point of it starting now, but having other starting points is fine. One benefit I didn't mention was military superiority. One orbital weapon (called project Thor), tungsten rods in orbit that are simply dropped onto a target, each Kg of tungsten has the force of 9Kg of TNT. So it could be a mixture of the need for military superiority, religion/ideology that drives them to support it. You're probably right that a space elevator would be necessary for there to be routine commerce between a space-based society and a post-Collapse Earth. It's the only plausible way of reducing launch costs enough (once it's built and paid for) to make it economical to trade "space steel" for grain or whatever, since it can harvest energy from descending payloads via regenerative braking and use that to help lift ascending payloads. However, there are so many devils in the details of actually engineering and maintaining one, especially in a deindustrial age, that it's only slightly more Realistic(tm) than antigravity, IMO. Another possibility (which probably has plenty of its own detail-devils) would be a Myrabo laser-launch system powered by a very large solar-thermal plant for launching ascending payloads, and "Big Dumb Reentry Capsules" aimed at a desert for descending payloads. I think that whether one is starting now or some time in the future, a Realistic(tm) space program for the long term (to create an enduring space-based society) would have to design its infrastructure to be as low-tech as possible most of the time, and build it to last as long as possible. The more "industrial depth" (you have to be able to build the tools to build the tools to build the tools to build the tech) a given technology needs, the more likely any program built around it will end up "orphaned" when it is no longer possible to produce the technology. Staring now, a space program would have the great advantage of being able to employ electronic computers. 3-D printing would be an incredibly useful capability to have, since it would enable the spacers to build a lot of different kinds of precision replacement parts from raw metals. Even better if it would be possible for a ship to "chew up" asteroid metal, and print it into habitable volumes like a bee making a nest. If JMG is right, spacers might not be able to rely on access to plentiful, cheap, highly-miniaturized electronic computers for very long. A far-sighted space program should (IMO) put some effort into designing a simple, very robust electronic computer built to last for, say, 100-500 years of use given basic replacement parts the spacers will be able to produce from raw materials. It should be able to perform key tasks like astrogation and operating a 3-D printer and/or CAD-CAM manufacturing system. Bonus points if it can also operate a gene sequencer, since genetic engineering might be an important way for humans to adapt to life in space. The "Rods from God" are a very impressive weapon concept, but as I understand it, they would require advanced computation and control systems to be able to hone in on and hit their target. In a deindustrial future, a big telescope on a space station and an operator with access to a radio would be pretty powerful, and more sustainable. "Aegis Station to Ground Control, the Republic of Gilead has launched approximately three-quarters of their navy on a northward course, on a heading of..." The "drop something on 'em" approach could probably still work for the spacers, as long as they didn't have to be too concerned about precision accuracy or hitting fast-moving targets. The problem is that every way is full of details and problems, and there too expensive to build them and compare. It's one of those multi-generational, civilization focused projects. The industrial ecology would need to be thought out incredibly well, anything big going wrong is cataclysmic. And as someone pointed out, if an asteroid or moon civilization descends into barbarianism, everyone dies since the life support isn't maintained. On a planet the life support maintains itself despite quite a lot of punishment (The current damage isn't the first time or even the biggest that's happened). There are a couple ways to make long lasting computer, there are a few design trends starting along those lines. The main problem is random events or unexpected damage (micro-meteors or accidents). Eugenics at the least would be mandatory, genetic engineering would be a bonus. And the spacers would be very different from earthers, especially since their genetic stock is from only 1000 or so people (who are selected). Then their thrown into an incredibly different enviroment. They'd be physically similar, but it's an open question how mentally similar they'd be. You'd use the "Rod's from God" only on stationary targets, like cities. Similar to how the Roman legions acted, can threaten high value and concentrated targets (cities and water infrastructure), but not useful against dispersed and low value targets (barbarian villages for example). If used in combat, it's similar to the Americans superior artillery in Korea and Vietnam, the enemy responds by staying close to the them.